Last week I learned how to schedule patrons to visit a prison library while visiting an institution. Patrons once were able to visit the library when ever they pleased when the librarian was working. This had complications for the librarian. When the library’s small space was flooded with patrons, the librarian and staff would be so overwhelmed that the chaotic feeling compromised the efficiency of library and burned out staff. Now patrons request to visit the library by using request slips on their decks (living quarters). These request slips give the librarians their name and ID number, reason of request (for legal work or to use the leisure library), if they are in school and when, and if they work and when their days off may be. The librarian then assesses the requests to make a schedule of patrons to visit the library. Around 25 patrons are scheduled in the morning and in the afternoon library sessions. Patrons are scheduled when it best fits their schedule, the time they need to spend in the library (legal research that will be time consuming will be scheduled in the longer session), at a rate that will even out the amount of legal vs. leisure patrons as to not overwhelm law clerks, etc. Patrons that have an upcoming deadline will be scheduled for multiple days in a row upon their request. Once the schedule is made, the schedule is entered into a system that will produce what is called call slips. Each patron is given a call slip which acts as a permission slip to walk through the institution to the library. This system seems to work better than the chaotic open library, but around 1/3 of patrons do not come to their library scheduled time. This may be for a reason out of control of the patron. The librarian puts a lot of their weekly time into creating call slips, so this system could be revamped to work better for the librarian and patrons. 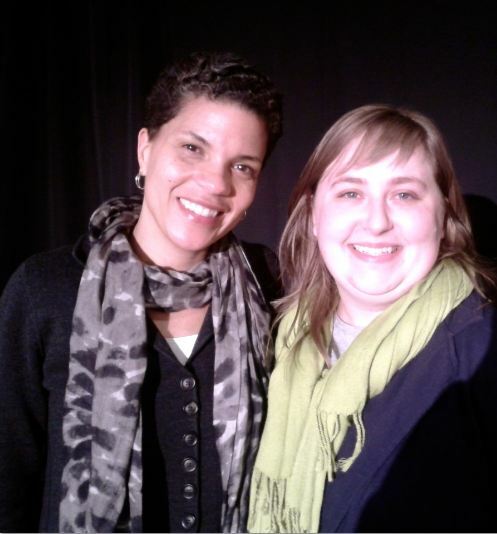 This week Michelle Alexander, author of The New Jim Crow: Mass Incarceration in the Age of Colorblindness, came to campus. As she explained her book’s thesis, it made me consider how prison librarian could be more aware of how we can better support our patrons trying to survive the PIC. But as a correctional employee, prison librarians live, breathe, and work within the myths of incarcerated persons and the effectiveness of the PIC. So, how can we balance the PIC and providing library services that needs to satisfy the two extremely different world views of the PIC administration and those who are incarcerated? How can we provide programming that offers support to patrons when being honest about the PIC can be seen as threatening to administration and guards and could put our positions in jeopardy? In my short experience of being within the PIC, I feel that there is a lot of heavy communication for staff to view people behind bars as lazy, not to be trusted, and other stereotypes. Michelle suggested that we need to embrace those who are incarcerated as their genuine selves, not solely based on the behavior that the criminal justice system deemed appropriate for incarceration. She continued to assert that the PIC operates with the core belief that some of us are not worthy of genuine concern, care, and compassion. In comparison to the PIC, we need an approach that cares for the victim for the victim, offender, and community. The idea of care is extremely drastic when we realize that shame and blame is placed on communities and individuals for incarceration. I was able to briefly speak about this with Michelle afterwards. Though I didn’t have a specific question for her, she told me that being inside of the PIC, you have to try to navigate as much as you are able to in order to provide the service that is envisioned. It is important, she stressed, to treat those behind bars with dignity. As librarians in training, we often think that we always treat patrons with respect and dignity, but within the PIC having to stress this shows how the institution operates.